Have you seen these bullets of radiant joy and magic floating around the Internet? This coveted lipstick has been on everyone’s radar. 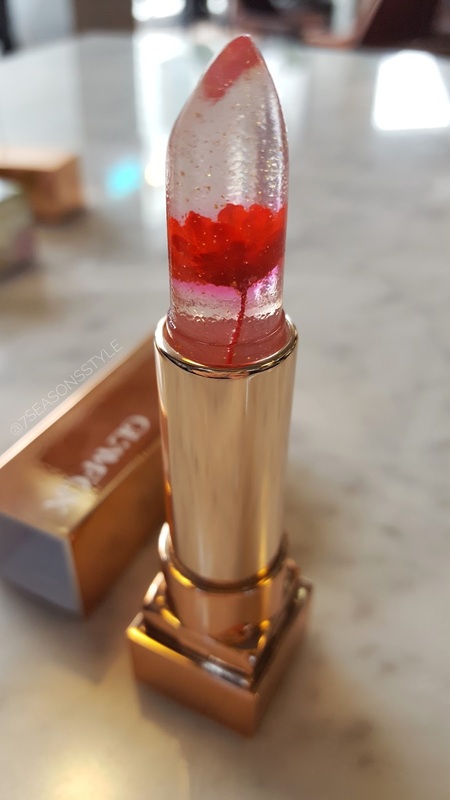 Jelly lipsticks that look like mini floral galaxies have been popping up all over Instagram, and the most coveted one has been sold out and hard to find for months. 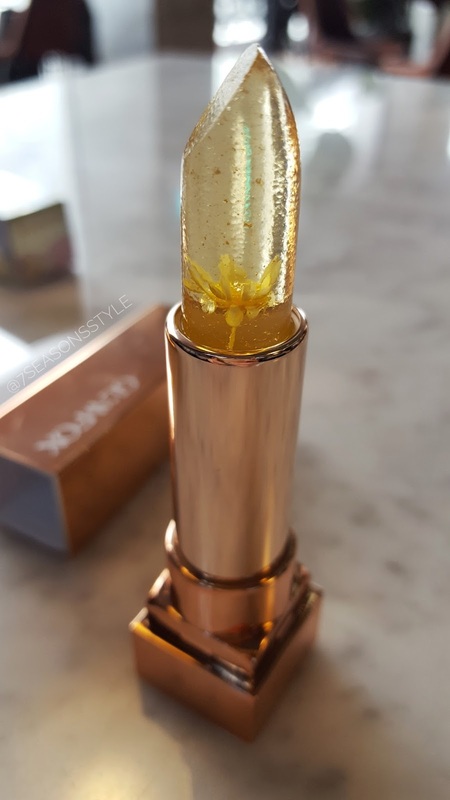 I won’t name names of said coveted brand, but let’s just say, I checked out the ingredient list and though it is the “original” jelly flower lipbalm, it’s filled with parabens which turned me off to even wanting to try it. 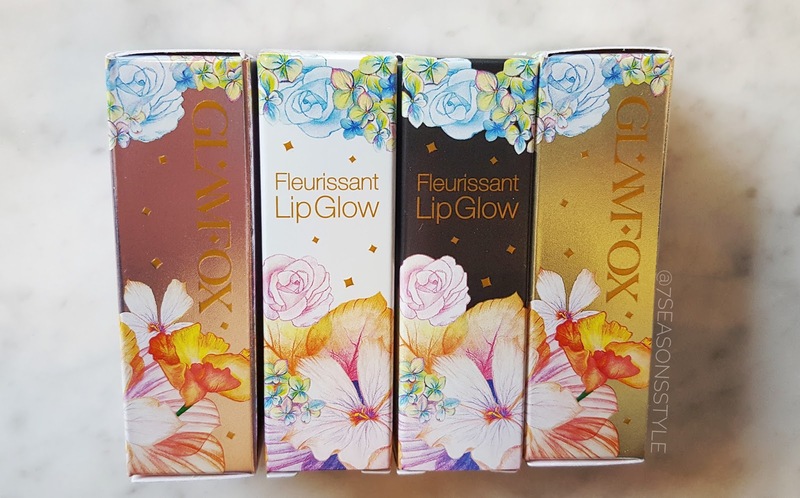 Feeling that I would never own these gorgeous lippies, I stumbled upon Glam Fox at the K-Beauty expo last month. 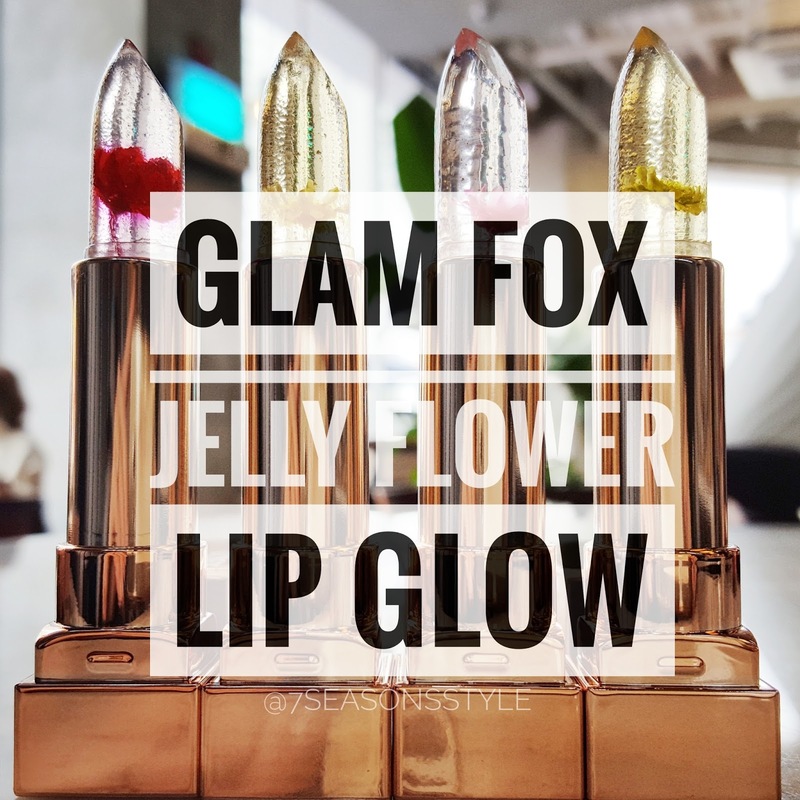 Glam Fox is a Korean company that took the idea of jelly lipbalm and brought it to a new level with better ingredients. After the expo I was contacted about trying these products, and went in with no expectation, other than knowing how pretty these little bullets were. We’ve also been working on a little project so I can’t wait to share that with you all soon! 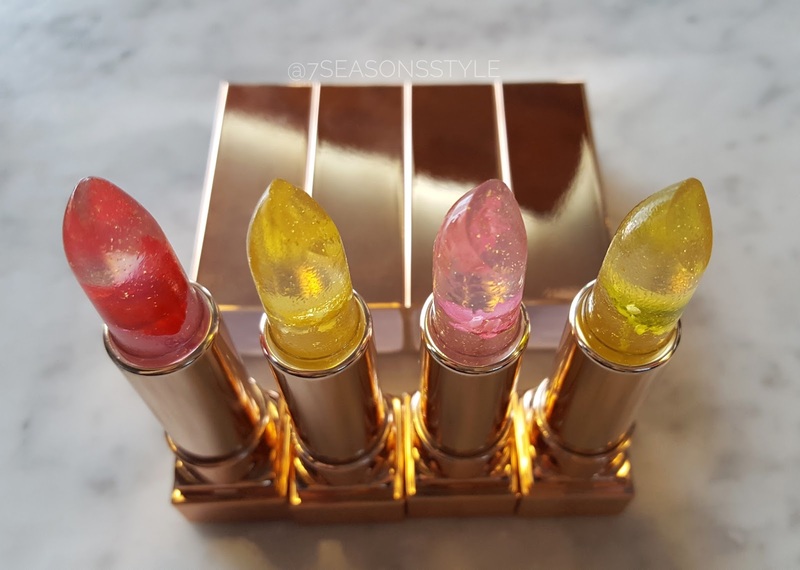 Fleurissant Lip Glows from Glam Fox come in 4 different colors with different flowers. Each color results in the same tone on your skin as it adjusts to your pH, so you are essentially choosing what flower you like best. Moonlight Flower #1 is the green one; Honey Flower #2 is the yellow one; Peach Flower #3 is the pink one; and Rose Flower #4 is the red one. They all smell the same, too; a sweet fruity peach scent. They are not flavored and made in Korea. So again, you are simply purchasing the color that you like the most. 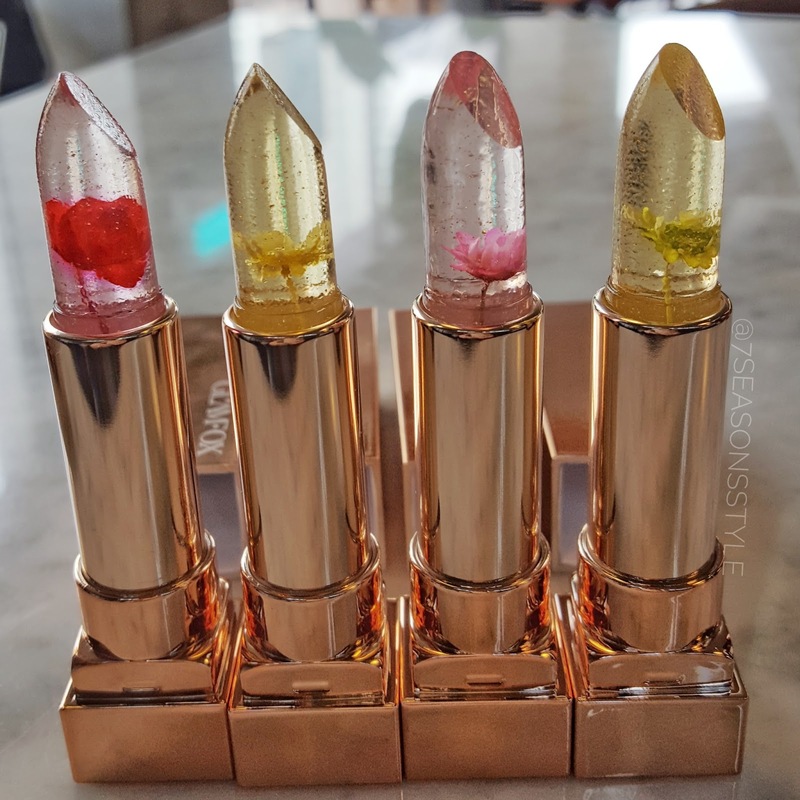 Each lippie is made of a 9 flower essence complex including active ingredients such as chamomile, hibiscus, lavender, daisy, magnolia, damask rose, lily, rosa rugosa (beach rose), and marigold. With all the flower essence there is no room for fillers like parabens or mineral oil. Unlike many tints, my lips were left feeling moisturized and soft, rather than dry. The texture is also jelly so when you apply it, it is not sticky or thick feeling. 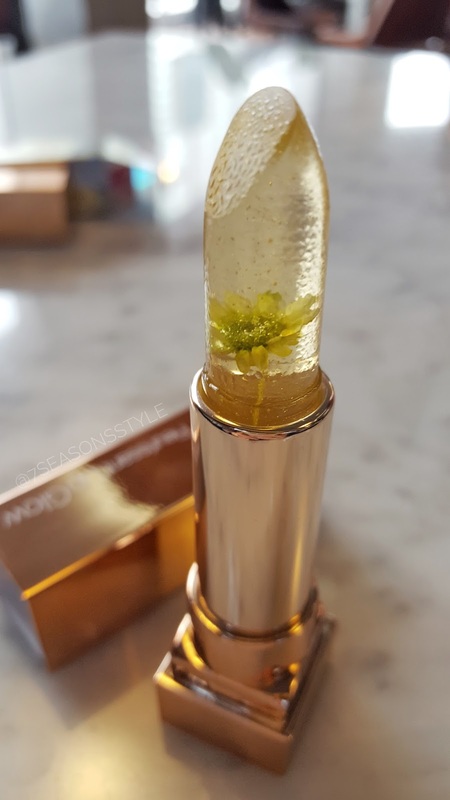 In addition to the floral complex, the jelly lipsticks contain real 24 karat gold flakes (not powder gold, but flakes) and a real dried flower. 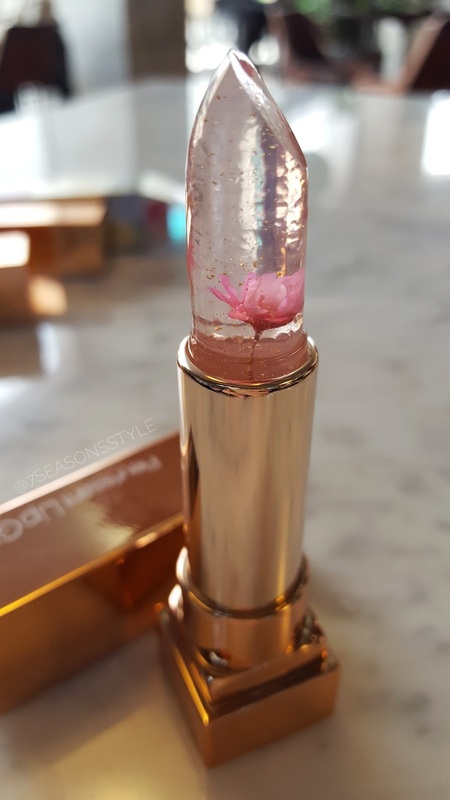 No fake flowers here which has been a topic of controversy in the beauty blogsphere. The gold flakes rub into you lips and aren’t noticeable when worn. Overall, I couldn’t be more pleased with these lippies. 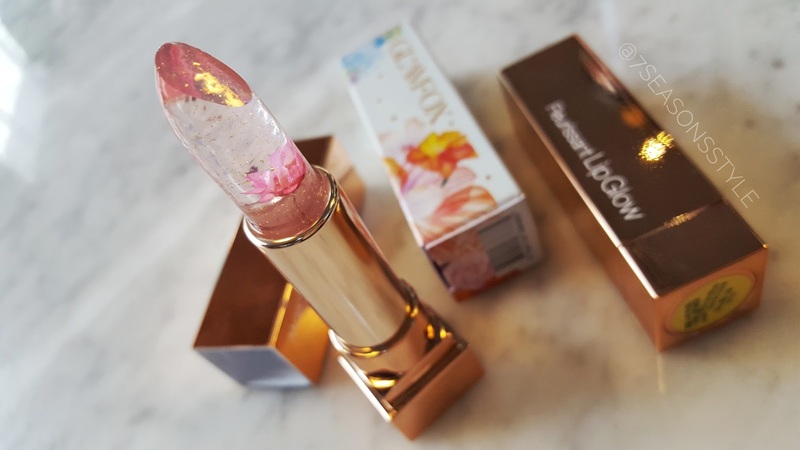 I’ve seen and researched a lot of jelly floral lippies and I’m happy to find that these are worth the hype. Will you add Glow Fox lippies to your wishlist or treat yourself to something special? They can be purchased online through their website in Korea. Let me know what you think of this new jelly lip craze. Let’s take a moment and enjoy their beauty with a few more close-up shots! Pop over to my Instagram throughout the weekend to see what it looks like on my lips and some skin swatches. The more layers you apply, the brighter the final color! It’s a nice bright pink color, brighter than the Mac Tendertalk that I reviewed on Instagram earlier. What do you think? Tag me in pics if you pick one up!